All ACDelco Steering Racks and Boxes are remanufactured not reconditioned and each part endures a mandatory quality check and is fitted with the latest refinements. ACDelco Remanufactured Steering Pumps and Steering Racks are fully remanufactured and thouroughly tested to meet the OE manufactures specification. All electronic controlled steering racks come fitted with new solenoids/switches. Only genuine OE components are used in the remanufacturing process. All designated high risk parts are replaced with new parts whether worn or not. Critical pump applications are supplied with a power steering return hose. 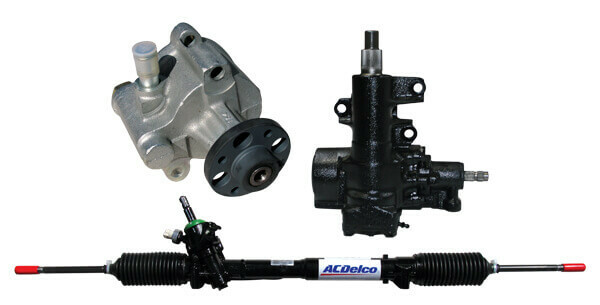 Each steering gear must pass a minimum of five separate tests to attain the ACDelco remanufactured standard.